Excellent product, we use this filter in bulgaria.were there is very high content of lime in the tap water, enhanced shower experience, shower head needs cleaning less frequently. Shiny tangle free hair, best condition it’s been for years, wish I’d brought this years ago, would have saved a fortune on hair products! Great price, easy to install, water softer,cleaner, definitely helps my dry skin. Great product. It has made a big difference to the water quality. Hair and skin feel much better! So far far so good. Good looking and easy to install.Hopefully will work as good as it looks.Pleased that it does not change water pressure. Lovely shower, hair feels amazing! 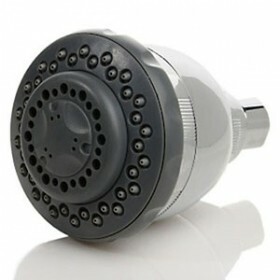 excellent product 8 stage shower filter. easy to fit . blends in with shower. results straight away. hair softer . shower screen cleaner no hard water marks. Didn’t think there was much difference at first, until I washed my hair, and my hair is a lot smoother now. 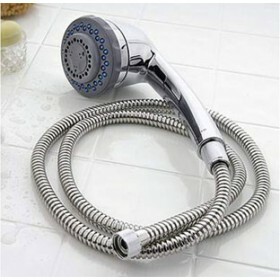 Good product and showering is more pleasurable. Fast delivery. Will be ordering again. I am extremely happy with my new shower filter!!! My skin is so soft now and my hair does not need conditioner anymore. Highly recommended!!! Excellent product, water feels much better. Very easy to install with no fuss whatsoever. We live in a hard water area and it has already made a noticeable effect on both our skin and hair. Wish we'd found this product years ago! Thank you. So far, I would recommend this product. Fantastic product. Instantly my hair and body felt so much more vibrant. Definitely 5 stars! This is the second shower filter I have purchased from your company, the original one is still going ok (4th month) and is filtering the water coming in just fine. Still some residual scale but live in a very hard water area so is to be expected! On the whole am impressed. Seems to work very well. Definitely gets rid of the smell of chlorine and is hopefully removing the chloramine too. Speedy delivery. Very easy to fit. Reserve judgement on effectiveness until it has at least 3months use. i gave three stars only for this product for it did not really reached my full expectations BUT it did a great help in reducing my hairfall and my pimples too! Thanks pureshowers! The negative is that when we went to Poland for 10 day holiday, I noticed every time I washed my hair when it dried it it was really shiny and soft using the same shampoo that I'm also using now. All I though the shower filter will produce the same effect, my hair's still feels dry after few weeks of already using it. But as I have said still thanks to it for reducing hair fall and my dreaded pimples, my face now clear. A filter that works for once, well made doesn't slow down the flow of water either. Arrived quickly, noticed the difference within a few days v good. Fast Delivery. Easy to fit. Very happy and highly recommend!!! Loved the style and ease of fitting. My husband was impressed. The quality is superb. Bought this because husband suffers with very dry skin and he was scratching himself and making his skin raw. Creams from the doctor didn't work. Since fitting this filter his skin has cleared up completely. Very pleased. 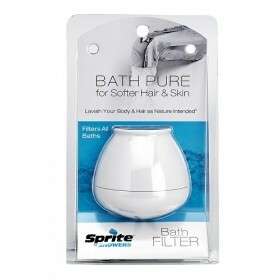 Very pleased with tbis shower filter, its made a huge difference to the condition of my hair & skin from day one. Very easy to fit. Arrived quickly after ordering. I have noticed a difference in my hair and skin, both feeling softer. And that the shower head does need cleaning as much, I would recommend to anyone to get a filter. I am very happy with my purchase and noticed a difference straight away. I have also recommended it to a friend who has since bought one and she expressed her satisfaction with the shower filter as well. Highly recommended and thank you. seems to work in that I can no longer smell the chlorine. It would be great to have testing kits which showed the change. I have very dry skin condition. And it works very well with my skin and hair. Bought the filter to soften the hard water in Denmark. Have used it for a few days, and the difference is very noticeable. Easy to install, no tools needed. Happy with the purchase and hope the effect lasts long. 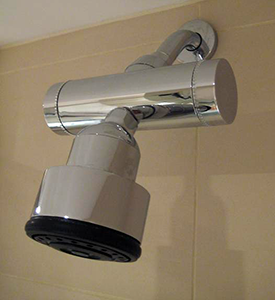 Easily fitted, and can tell it is working due to change in smell of water, and lack of staining in the shower tray. Very pleased with the product. Service and delivery. Very pleased so far, have noticed a difference in water softness as it's a hard water area, a good product. 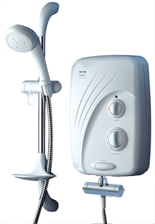 It was so Easy to install my husband is paralyzed so I fitted it it was so simple to install, after my first shower my skin felt softer and my hair felt so clean would recommend to any one. Noticeable improvement in hair which feels fuller and less flat. A reduction in redness of eczema on my 9 year old son's skin. Great product. Noticeable difference in skin and hair after only a few weeks. I have afro (type 4c) hair. My hair has been shedding since I can remember. My mum observed that when she went back to West Africa and washed her hair she saw no shedding. This intrigued me so I went online to research and found that hard water can cause shedding. From the first time I washed my hair using the filter, the shedding reduced by 90%!!! My hair has never been softer!!! My face is also clearer and glowing, my skin is soft and the itch has stopped! I cannot recommend this product highly enough for those with afro hair. Positive experience,easy fit,first class service & most surprising noticed change in water quality esspc. my hair first use. I became aware, after some years abroad, in areas that had soft water supply, that the water supply in my home in the UK had become harder and was aggravating my eczema. 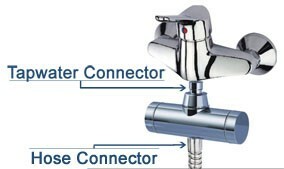 After fitting the shower filter I have noticed an improvement in the water quality and my condition. Easy to install the filter on my Mira Sport Max shower using the supplied fitting. It was brilliant!!! Fitted easily on my electric shower. Filter is working well, but would benefit from a longer piece for attaching it to the faucet as there's not really enough room to pull up the shower conversion without taking its handle off. *** Reply from PureShowers Team *** Thank you for your review, did you see that on the "Additional Information" section on the product page. You can request to get the free angle pipe sent with the product? It's free and would solve your problem. I purchased this Item hoping that it may help with a skin condition. It's a bit early yet to notice if it is making any difference to the condition. I don't think i can recommend anything to improve your service as everything worked well anyway. 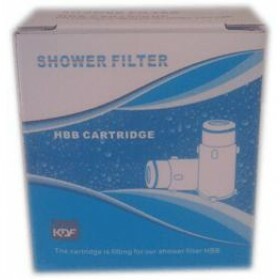 The shower filter and cartridges arrived very quickly and we are delighted with the product. After just a couple of days we could feel the difference with our hair and skin; they feel much softer. The filter was very easy to install, which was a bonus. 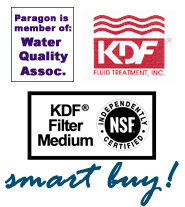 We would certainly recommend the product for homes with hard water. not had time to fully assess the benefits yet but delivery was prompt and was relatively easy to fit - the slimline shower filter wasnt as slimline as expected! so a bit tricky to attach to the shower hose. Product arrived easy to install and does what it says on the label lovely soft water. The product and service were very good, and the member of your staff I contacted to ask if the same product is available with different fittings/outlets was most helpful. Thank you. Great product range. Very helpful staff and excellent service from enquiry to delivery. Would recommend you to anyone. Very happy with the product and quick delivery. I never received an email informing me that it had been shipped and as dumb luck would have it, our concierge had changed email address just that week and their notification of receiving a parcel went into my junk folder so roughly a week after ordering I got a little frustrated and complained, got a response very quickly and proceeded to pick up my parcel from the main building. Series of unfortunate incidences. The filter works very well, there's a very slight reduction in water pressure. I bought the 8 stage shower filter a month ago as my hair was becoming damaged from living in a hard water area with high levels of chlorine in the water. It took a while to see the effects (my partner said his skin felt softer from the first shower!) however after a month my hair feels less greasy and easier to manage. Although it hasn't made the difference I was hoping for, it is still better than without and my hair is improving! **Reply from PS Team** Great to know that you are starting to feel the effects of the shower filter. For some people it takes longer than others, but we are sure you will feel even more improvements as time goes by. Thanks again! The last few shower filters I purchased from you were fine except I needed an adapter that angled the slim filter away from the wall, it just never looked very good but this last 8 stage shower filter not only seems to work well but looks good as well, it also has the added benefit of something not mentioned in the add and that is a swivel type inlet connection that allows the unit to stand away from the wall which greatly simplifies the installation, if that was highlighted in the advertisement I may have used this the first time. If it was there but I just didn't notice it then others may have the same problem. ** Reply from PS Team ** Thank you for your comments! We'll definitely update the website to mention that. Thanks again! Prompt delivery, easy to install and working fine. Easy to fit and noticed an immediate improvement in my hair and a reduction in scale. We wanted something to soften the water and we got it. The softner makes such a difference to all our families skin and hair. My daughter had dry and blotchy skin on her neck and face. We discovered, by accident, whilst on holiday that her skin cleared up considerably and therefore researched ways to reduce the amount of chemicals in the water at home on our return from our holiday. Since purchasing the 8 Stage Shower Filter, we have seen a great improvement in her skin, it is no longer blotchy or dry. I was happy with the service provided by Pureshowers.co.uk. My queries were always answered by them swiftly and the product arrived to me 2 days after the order was placed. I have bought the product hoping that it would reduce the limescale effect on my wife hair loss problem. After about a month of using the product I have not noticed any major improvement. May be it is too quick to judge if the product is effective or not. 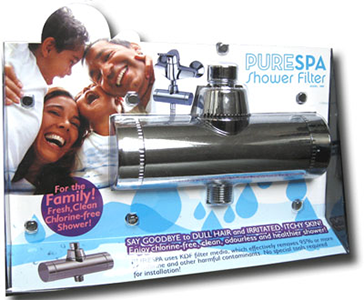 *** Reply from PureShowers.co.uk *** : As it is still too early to tell if the shower filter will help with your wife's hair loss problem, we hope that after continued use you will get the results you're looking for. We live in an extremely hard water area. We had a new shower fitted and so far this has shown very little lime streaking, the glass shower doors when rinsed at the end of use and wiped with a blade look good. My eyes no longer sting in the shower and my skin is not so dried out. Hooray!! 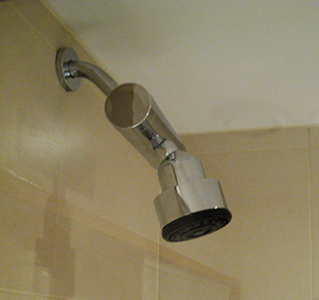 Shower head has stopped clogging up and the water is much more pleasant. I do have to clean the filter weekly but this takes seconds and is much easier than constantly cleaning the showing head. Wish I had bought one of these filters years ago! Timely and safe delivery of product ordered. Product packaged satisfactory and presented as described. Easily installed and working well. It was so simple and straightforward to install, it makes a very big difference to washing your hair after installation as well as your skin when taking a shower! !